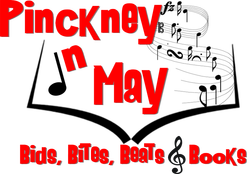 On May 19, 2018 the Pinckney Community Public Library will once again be hosting a silent auction, raffle and music concert fundraiser called “Pinckney in May: Bids, Bites, Beats & Books”. We are now offering different ways to help support this wonderful cause, from cash donations to help purchase Silent Auction Items to electronic ad purchase to Silent Auction Table sponsor to Major Event Sponsorship. We hope very much that you would consider becoming a Pinckney Library supporter! PCPL Tax I.D. No. : 38-2212737 or PCPL Friends 501 c3 Tax I.D. No. : 32-0085750. All contributions are tax deductible absent any limitations on deductibility applicable to a particular taxpayer. No goods or services we provided in exchange for your contribution.